Spend a day learning new music in our annual workshop, open to everyone who loves to sing. 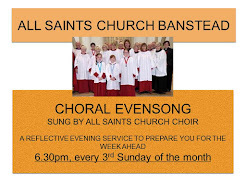 It's a relaxed day, you'll get tips to improve your singing and a chance to try singing in a choir, the best one in Banstead (probably). Music reading experience will really help you get the most out of the day. We'll sing a variety of music from the 8th century to the present day, all on the theme of Birdsong, for example Sanctus from Spatzenmesse (Mozart), O for the Wings of a Dove (Mendelssohn), The Blue Bird (Stanford), The Silver Swan (Gibbons), Passer invenit sibi (Anon), Like a Singing Bird (Chilcott). 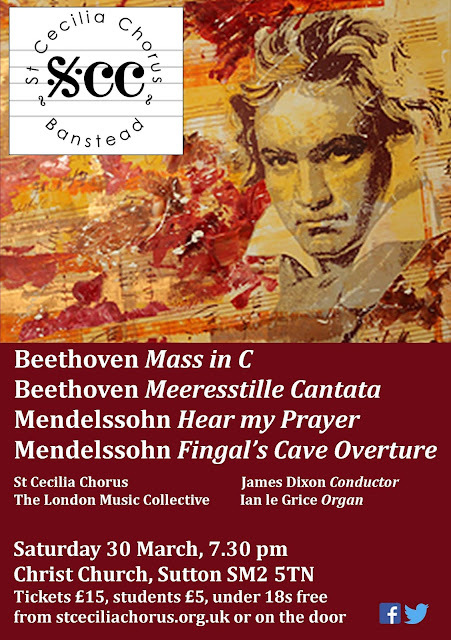 Friends, Patrons, Students and under 18's free but please book a place. 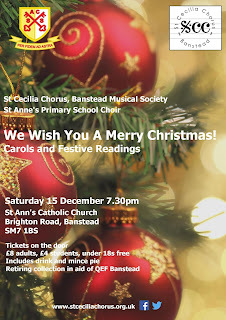 The weather outside on Saturday night was dreadful but indoors the singing by both choirs was lovely and we were warmed by wine and mince pies! 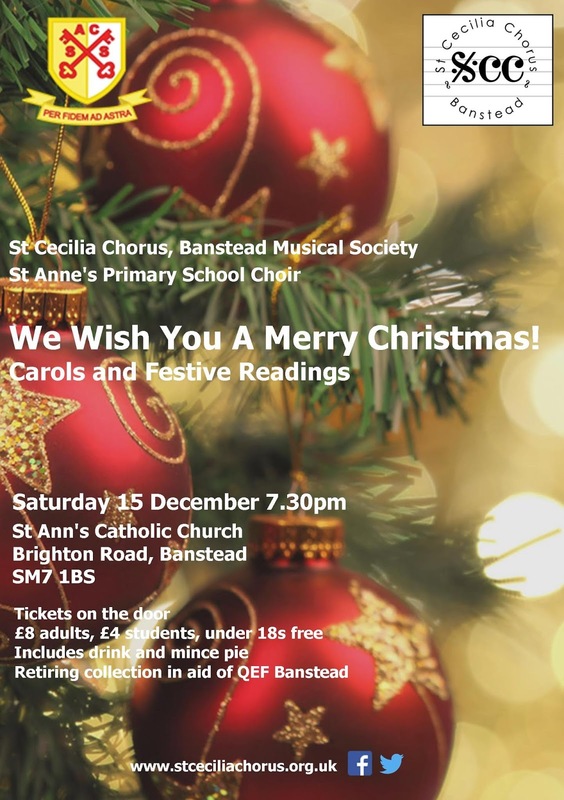 The audience enjoyed a festive mix of carols, readings from Dickens' A Christmas Carol, the slow movement of Bach's double violin concerto and Christmas music including Adam Lay Ybounden (Warlock) and Sussex Carol. And Quem pastores laudavere and the Australian carol The Silver Stars were performed by St Anne's School choir with St Cecilia Chorus. A lovely way to wish you all a very happy Christmas! 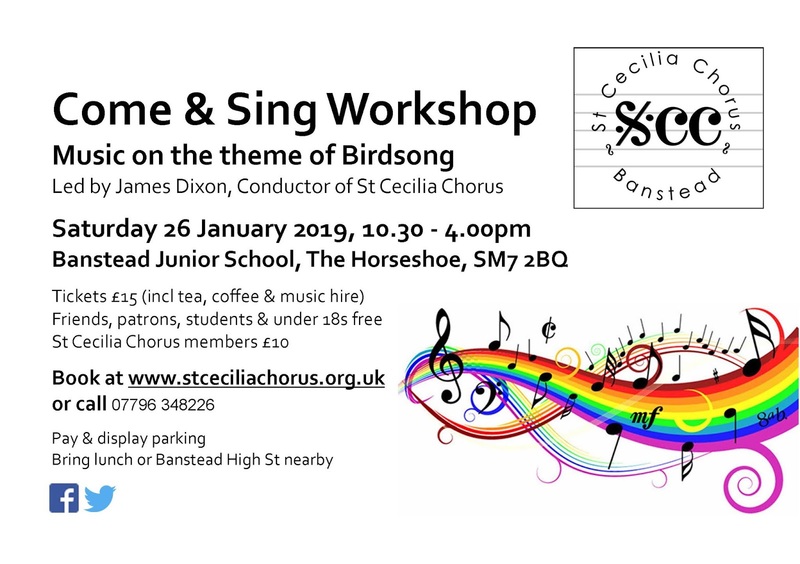 Our first event of 2019 is a Come and Sing Workshop on Saturday 26 January - book a place now! 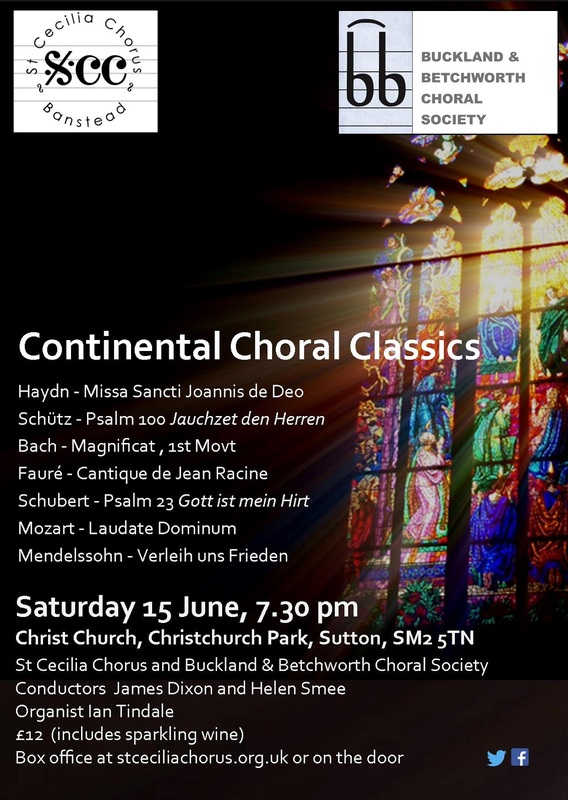 Covering four centuries, we performed sacred music and carols from Spain and the Basque region via Portugal to Mexico. 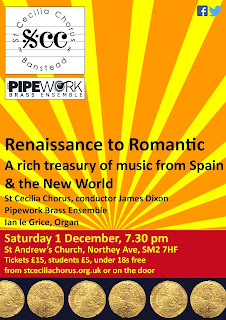 All accompanied by Pipework Brass Ensemble and Ian le Grice (organ), it was a fine evening of music from Spain and the New World.